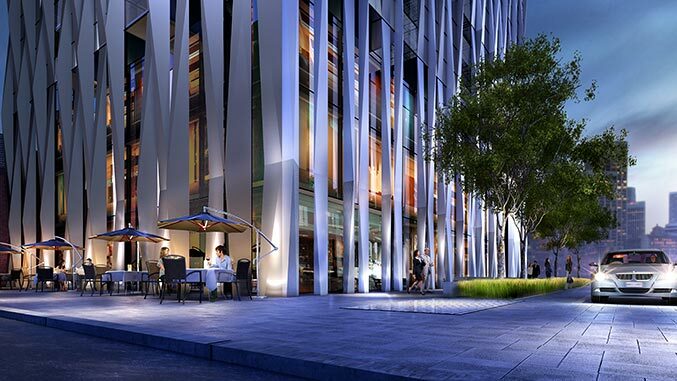 Update on 1 Yorkville - Bazis Inc.
1 Yorkville is well on its way to being the most famous address in Toronto. Construction of this new luxury condominium is on track with the formation of the P1 underground garage. With its enviable location, close proximity to world-class shopping, dining and other desirable amenities, 1 Yorkville provides a lifestyle experience equalled only by its refined design. Health and wellness are at the heart of the 4th and 5th floors. The 5th floor is home to a deluxe fitness gallery, pilates, and Cross-Fit studios. Tranquility prevails in the 4th floor spa and yoga studio, with an outdoor pool, hot tub, and hot-and-cold plunge pools, and the Zen Garden provides a space that soothes the mind, body, and soul. Atop this luxurious building is an exciting rooftop, with an outdoor space perfect to take in the sights and sounds of the vibrant city below. Outdoor entertaining is easy, with a BBQ and fire pit, along with a sun deck, flanked by two party rooms, each feature their own kitchen and dining areas. Guests can also take in a movie on warm summer nights at the outdoor cinema. Watch for more construction updates as we continue to make progress on this exciting new downtown address.